Fashola said this at the 25th Monthly Power Sector meeting on Monday in Uyo. He said that the power sector recovery programme put in place by the ministry and other stakeholders in the power sector was beginning to yield results. The minister said that the Federal Government had secured the World Bank approval for 486 million dollars Transmission Company of Nigeria transmission expansion funding. “Progress is being made with the same bank for the Rural Electrification and Distribution Expansion Funding. “Clearly, our implemental power initiative is well underway, some jobs are manifesting and the promise of steady power is real. The minister said that the Power Sector Recovery Programme (PSRP), policies, actions and programmes in the sector were meant to solve the power sector problems. He said that the policies, programmes and actions were delivering results. “One of the results is the regulation that will democratise access to meters for power sector customers. “We have reached a 7,000 Megawatts (MW) Generation Capacity and have a 5,000 MW Distribution Capacity, what is newsworthy is that in the last month, we have met with Manufacturers Association of Nigeria (MAN), DisCos, and GenCos. “On how to implement the Eligible Customer Policy and increase connectivity to the 2,000 MW that is available. “In many parts of the country connected to the grid, citizens’ feedback is positive, even though all the problems are not solved. 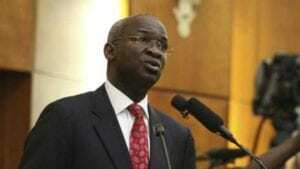 “Citizens acknowledge more power in dry weather, reduced hours of running their generators and reduction in fuel (diesel and petrol) purchase to power generators,” Fashola said. He, however, described solar energy as cleaner and more efficient source of power, emphasising that in many states, solar power is being accepted and used. The minister said consumers were already embracing the solar power generation plan, an initiative of the government to boost electricity.